I am so happy that this couple made the trip out to the Wigglebug Outdoor studio. The night was perfect and the light was just dreamy! 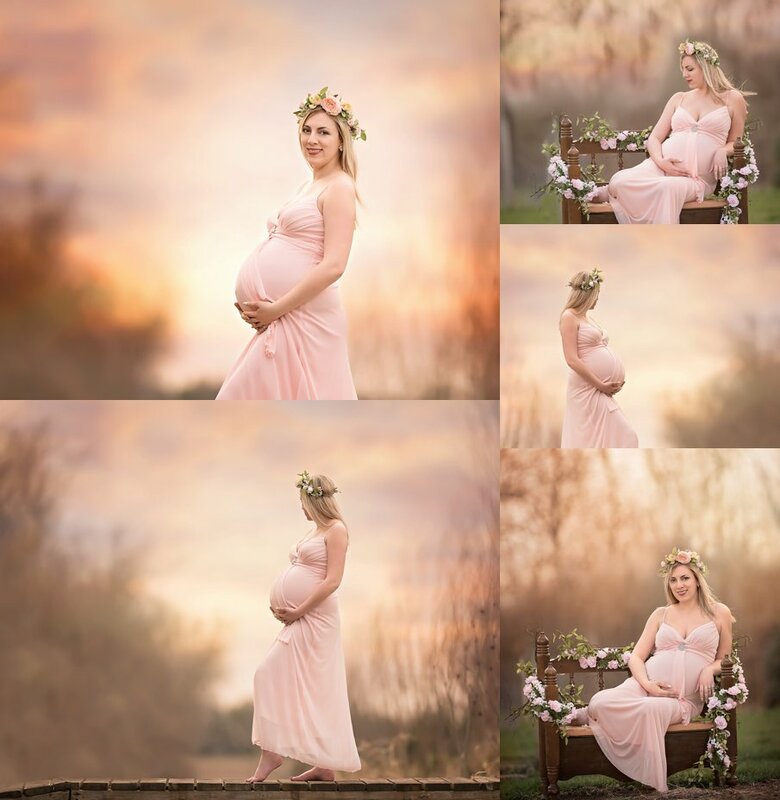 Amanda looks absolutely stunning in the gowns from the Wigglebug Photography Dress Collection. This couple was sweet to work with. The new daddy even gave me one of the best compliments when he told me how comfortable he felt and how fast I was. The only snag we hit was at the end of the session when Amanda noticed her wedding ring was missing!! Now, the outdoor studio is huge, the size of a football field and we had walked the whole thing. I thought I would have to send my boys out with their metal detector to find it. However, luck was with us and I found the ring sitting on the ground just under my willow trees. I was THRILLED when I found it. 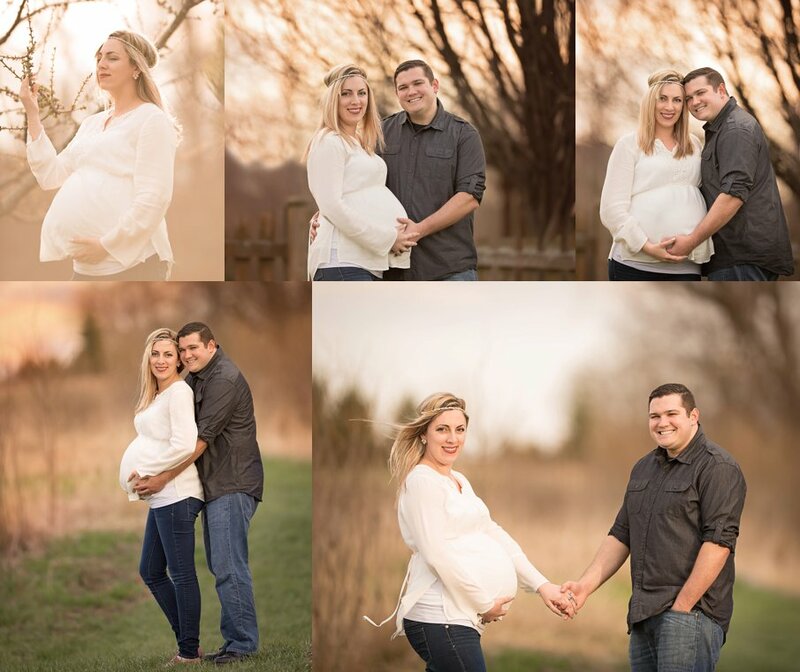 This session is not a mini session because Amanda chose the Lovely Luxury Baby Plan. This plan comes with a full sitting for the maternity session. Check out the amazing photos from our session together.